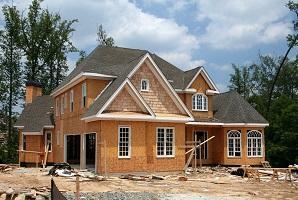 Want the best home builder in Portland? Then choose David Green Construction! As a Master Builder, David Green has proven time and again that he knows homes and he knows how to build them right. From established floor plans to completely custom designs, you won’t find a better home builder in Portland. Choose us and together we’ll build the home that you’ll proudly want to live in for decades to come! What is a Master Builder? The Certified Master Builder program was created to show that builders with proven experience also meet a strict set of standards and pass on the quality to you. To earn certification, a house builder must complete a thorough course and pass an examination that covers building codes, business management, and more. This shows that a home builder will go above and beyond for his or her clients, meaning your new home will be of unmatched quality. When you go with us for a new home, we work with you from start to finish. Already have a design? We’ll make sure it fits to code. Starting from scratch? We can help with that too. Give us your budget beforehand, and we’ll do whatever we can to stick within it. We want to make sure you can afford your dream home when it’s done! We use advanced software to simulate what your home will look like when it’s finished. This allows you to make any changes early on before they’re costly. Have any changes along the way? We keep you involved throughout the process so you can make changes on each stage before we move on to the next step. Have some ideas to remodel your current home? We’re versatile contractors and more than happy to work on remodeling your existing home, too! With more than 40 years of experience, we know the right way to build homes. And with dozens of new homes under our belt and not a single complaint to the Builder’s Board, customers are pleased with our work. It’s time to become one of them yourself! Give us a call or contact us today to get started.